Once upon a time the Portable Music Player (PMP) was associated with the word Walkman. In the past decade however, the title has been stolen by a little device called the iPod. Trying to regain the title, Sony has announced four new Walkman models - the F800, S770BT, E570 and E470. The top of the line of the new models, the F800 runs on Google’s Android 4.0 ICS OS. The device boasts of 3.5-inch display and it will have full access to the apps available on the Google Play store. The device also boasts of Bluetooth and Wi-Fi connectivity, and comes in 3 storage variants – 8GB, 16GB and 32GB. A good feature of the device is that it supports the FLAC lossless audio format. The other three – the S770BT, E570 and E470 are smaller PMPs, less advanced and will be more affordable. 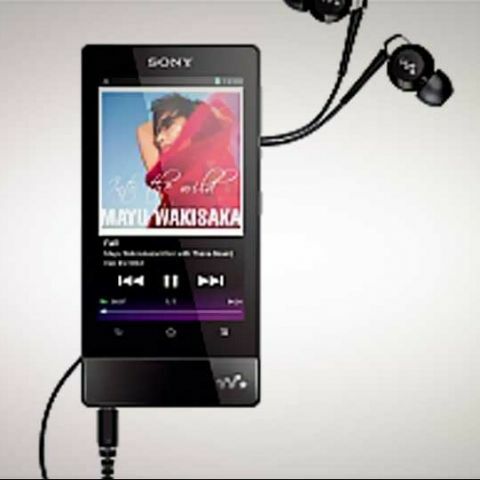 The Sony S770BT Walkman sports a 2-inch display that isn’t a touchscreen. The device is very slim measuring at 7mm thickness. The S770BT comes with a Bluetooth headset. The E750 Walkman also has a 2-inch non-touchscreen display. The USP of the device is that is focuses on noise cancelation technology. The Sony E470 Walkman is aimed at making a fashion statement, and is available in six different colours, apart from featuring a karaoke mode. All the new Walkmans are compatible with Sony's Music Unlimited service and support drag-and-drop music transfer. In the past, we have seen Samsung unveil a 3.6-inch device running on Android called the Samsung Galaxy Wi-Fi 3.6. The device was just like the Samsung Galaxy phone but without the ability to make phone calls. Something like the relationship between the iPhone and the iPod touch. The device however wasn't very successful. The iPod touch is one of the best PMP’s available in the market that also has the ability to browsw the web and run apps from Apple’s App Store. The device is an iPhone without the ability to make calls. The iPod touch is available in 3 variants, 8GB, 32GB and 64GB and the prices start at Rs. 13,500. Which is the best Music Player for Android?